Allow guests to choose from 2×6 or 4×6 prints and have printer only cut 2×6 prints. Allow guests to choose from 4×6 or 6×8 prints (or any other sizes) and have dslrBooth print each specific paper size to a different printer. Get more information about this feature on our support site. 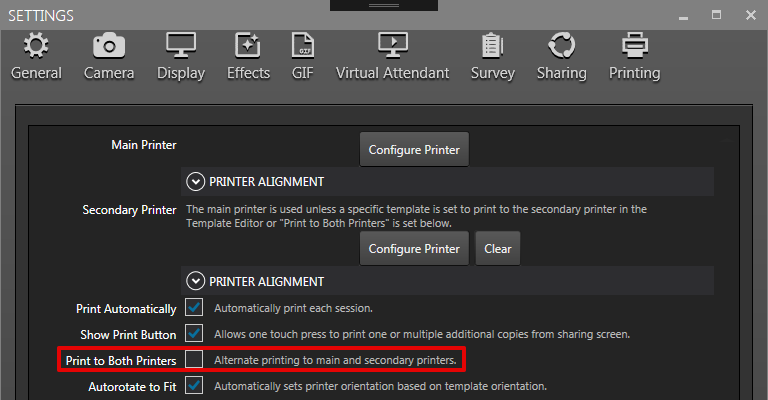 2.Alternatively, you can setup two printers for use in large events where dslrBooth will alternate printing across the the main and secondary printers for faster prints. 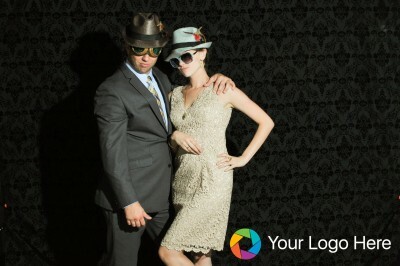 You can now place your own watermark, logo or overlay on the photos captured during a session. The overlay gets added above the entire captured photo. Select an effect options and buttons are now raised higher on the screen for vertical booths. Recorded videos are now uploaded to fotoshare.co instead of Youtube allowing for easier sharing. Due to changes in Facebook’s privacy policies, the description for Facebook page uploads has been removed. Store max number of prints made per event so print count does not reset if software restarts. 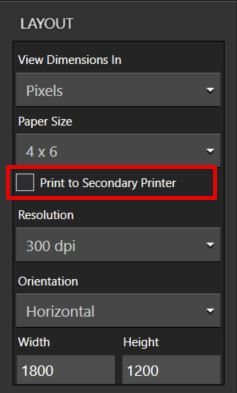 Hide print button after max number of event prints are made. Improve performance on lower-end computers. Fix for SMS sending with current SMS message in settings rather than the message that was set at the time of sharing. Decrease processing time for boomerang sessions that use green screen.